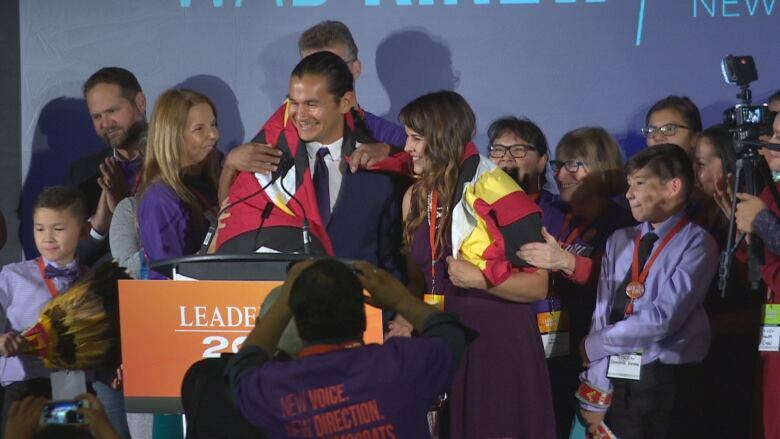 Wab Kinew beat out three-time leadership candidate and former MLA Steve Ashton 728 votes to 253 to take leadership of the Manitoba NDP on Saturday. Kinew also took shots at the current government, led by Conservative Premier Brian Pallister. "Somehow, friendly Manitoba ended up with a mean premier," he said. Ashton was no stranger to politics, with decades of experience under his belt as an MLA and cabinet minister for the province. But Ashton is not currently an MLA. He lost his seat in Thompson — which he'd held since 1981 — last year to Progressive Conservative Kelly Bindle. Saturday's vote wasn't his first attempt to win leadership of the party — he's run unsuccessfully twice. 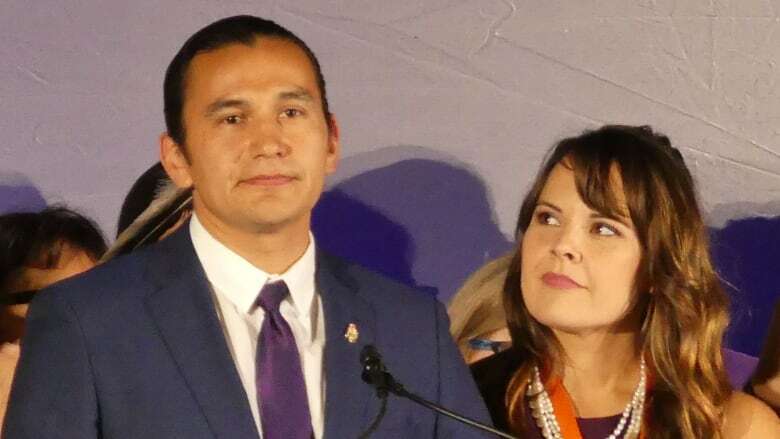 The veteran politician also got involved in the Kinew controversy, saying his rival didn't go far enough to explain his past domestic assault charges — something one political expert thinks may have been a mistake. "Mr. Ashton got his hands dirty as well. It probably would have been better for him just to stay out of it," University of Manitoba political studies professor Royce Koop told CBC Friday. The allegations against Kinew should be talked about, said Ashton supporter Jim Bardy at the convention Saturday. "There's other stuff going on that's kind of mind-boggling," he added, wondering why the allegations from Kinew's ex-partner only came out this week. There was no mention of Kinew during Ashton's 25-minute speech Saturday, however. Instead, Ashton recited the "successes" of the NDP over the past several years and also took aim at the possible PC health-care premium plan. "Pallister, if you bring it in, we're going to get rid of it." He also questioned the premier's visibility during crises, especially in his response to the flooding of the Churchill rail line. "There are more sightings of sasquatches in the north than Brian Pallister," Ashton told the crowd. Ashton pledged to raise the minimum wage to $15 an hour, to reject the "Uberization" of Manitoba's economy and to oust Pallister after one term. Bardy said he has supported Ashton through the veteran politician's previous two leadership runs, and said Ashton has been fighting for a long time. "Some people think that's a problem," he said. "On the other hand, if you didn't learn anything in those 30 years, that'd be a problem. But if you did learn a lot of stuff, not just what to do, but sometimes what not to do ... that's where I come from, in terms of my personal support for Steve." Koop said the revelations about Kinew's past have tainted a leadership race that should have been a great time for the NDP. "It really is kind of the worst possible outcome for the party." 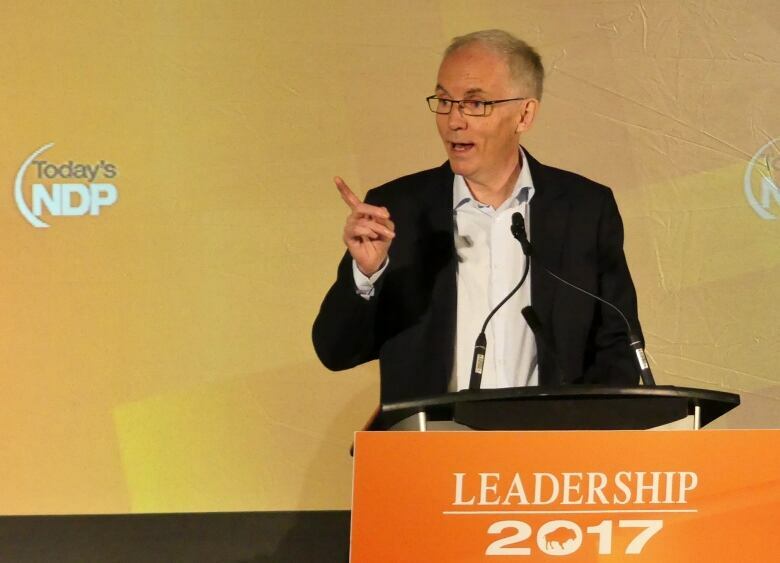 The NDP had been without a permanent leader since last April, when former Manitoba premier Greg Selinger resigned after the PCs crushed his government, ending 17 years of NDP government in Manitoba. NDP MLA Flor Marcelino (Logan) has been acting as interim leader for the party. Girl, 11, killed by train in Ste. Anne, Man.